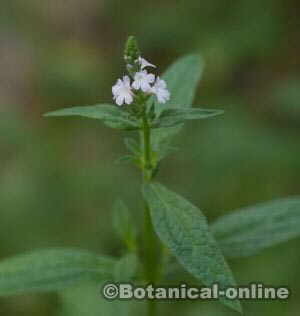 – Spanish: verbena, verbena macho, verbena mayor, hierba de Santa Isabel, hierba de los hechizos, hierba de la verbena, yerba sagrada, curalotodo, hierba sagrada, hierba de la ictericia, verbena sevillana, hierba de San Juan, yerbuca de San Juan. 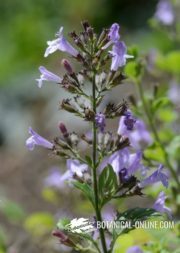 – Italian: Verbena, Erba corce, Erba crocina, Barbegna, Erba sacra, Erba colombina, Erba turca, Erba della milza, Birbina, Virminaca, Crebena. Etymology: verbena derives from the Celtic word “ferfaen” (= the one that expels the stones) or from the Latin word “herba veneris” (= herb of venus) “. 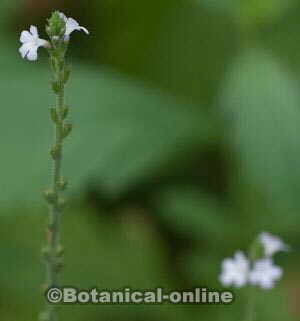 Scientific name: Verbena officinalis L., Verbena vulgaris Bubani, Verbena tenuispicata Stap, Verbena rumelica Velen. Habitat: on the edges of roads and highways, uncultivated lands or grasslands between 0-1500 meters. Abundant throughout Europe, Asia, and Africa in soils with a certain humidity. Naturalized in America. Verbena is a perennial plant of the Verbenaceae famil, up to 75 cm in height. Stems erect with internodes very far apart, with four well-marked angles. Opposite branches, open each pair forming a V with the lower vertex attached to the stem. Opposite leaves, the lower ones rhomboidal, very divided with lobes that almost reach the main nerve, divided lobes, dentate. Upper leaves very small and sparse, sessile, with many fewer divisions. Very small flowers of pink lilac, grouped in inflorescences in the form of spikes of about 8 to 12 cm in length. Each flower about 4 to 5 mm in length, with the corolla practically twice as long as the calyx, bilabiate, with five flat lobes and short tube. Both the calyx and the corolla hairy. 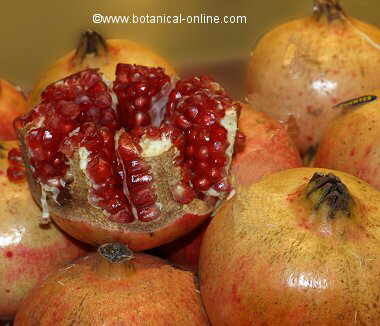 Each flower contains 4 fruits , reddish brown with well marked ribs. Iridescent glycosides: aucubin, verbenalol, verbenin, verbenone and hastatoside (plant), verbenalin (the whole plant, but the flowers in greater quantity). The use of verbena in ancient times is widely spread. 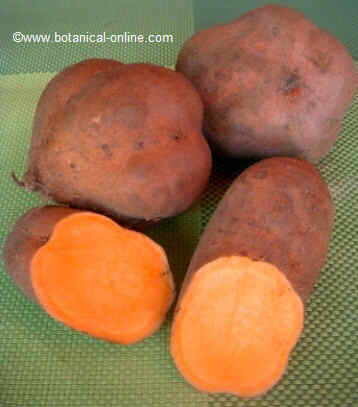 The same Dioscorides called it Hierobolane (= sacred grass). At that time, it was considered that the verbena was able to cure more than 30 diseases, such as gout, paralysis, headaches, jaundice, etc. However, since ancient times, verbena was known more for its supernatural properties to bring peace than for its therapeutic properties. The ancients thought that the people who carried with them a twig of this plant aroused feelings of trust and good disposition on the part of others. It was a plant very venerated by the druids who used it as a magical plant in their ceremonies. A common custom was to meet at sundown and, in a circle, those present buried it with a sword on the ground as a sign of gratitude for the gifts received. 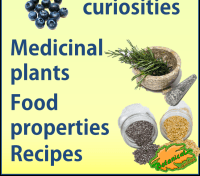 The Greeks and the Romans called it Herba sacra, ( = “sacred herb”). They used it frequently in rites to throw luck, for omens , to defame or to purify people. But, above all, it was a symbol of peace, friendship and happiness. On the first day of the year they sent her friends to wish them fortune and express their good wishes. When an emissary was sent to another city he was given a bunch of verbena. The Romans, when they sent an emissary for a noble mission, offered him a bunch of verbena. This emissary was known as a verbenario (that is to say, the one who brings vervain). The tradition of considering verbena with special properties was adopted by Christianity. It is considered that Jesus stepped on this plant on his ascension to Mount Calvary, endowing it with magical properties against the bites of snakes and other poisonous reptiles. 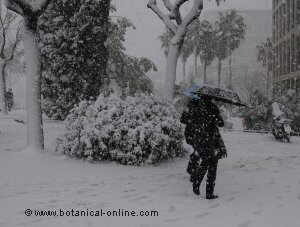 For this same application, for a long time, shepherds from the south of France took a piece of verbena to protect them. 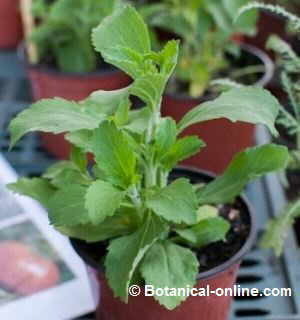 At present, the importance of Verbena officinalis has declined considerably. 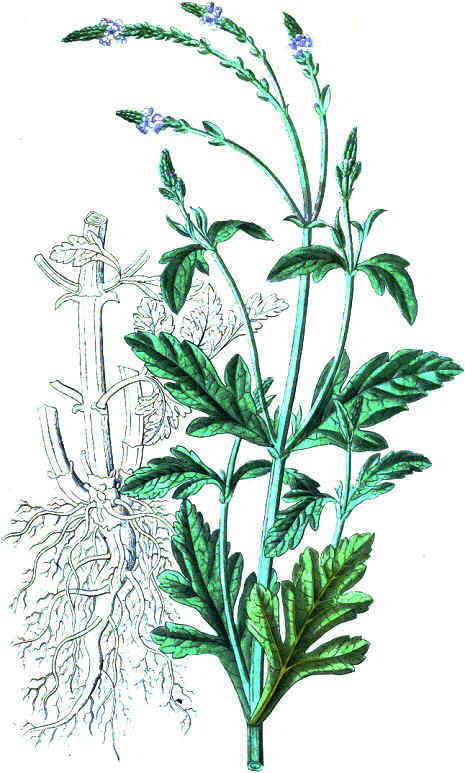 When the word “Verbena” is mentioned Spanish people, for example, think more about the meaning of a night party ( Verbena de San Juan = St John’s night party) than in the original meaning of verbena as a medicinal grass: the Celtic word “ferfaen” (= the one that ejects the stones) or the Latin word “herba veneris” (= Grass of Venus). The truth is that the latin word verbena (= party) is the one that derives from Verbena (= plant) and not vice versa. 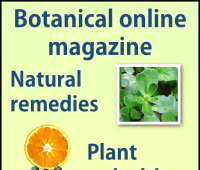 In French it still preserves the original meaning, since the word “verveine” aplies only to the medicinal plant. In spite of this, Verbena officinalis does not stop being less important from the phytotherapeutic point of view. Although it is no longer considered a “curing” plant as in the past, it is worth taking into account its medicinal properties.